Refined elegance, precious details, are the unique expression of the design requested by contemporary trends that adapt to all contexts, giving the space where is placed an indisputable personality. 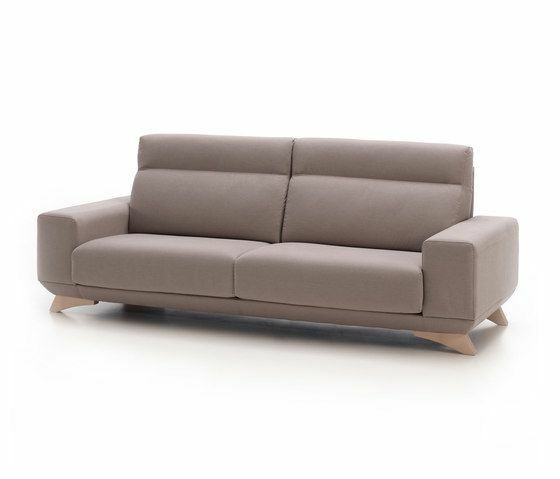 Sofa with wide modular range, allowing all kinds of compositions for the home. The highest quality materials, such as cores of pocket springs or high density drilled polyurethane, designed to offer comfort and durability. Sofa or module greater than 200cm is prepared so that arms can be disassembled in destination, non-detachable base. MATERIALS 1. Solid wood frame, covered with HR 30kg/m3 foam. Suspension made with Nea elastic webbing, quality guarantee of 10 years. 2. Spring system cushion. Composed by a block of individual socket springs inside HR 35 kg/ m3 foam walls and covered by a silicon fiber lay. Spring system keeps the “seating” for several years and contributes for an excellent comfort, breath and durability. 3. Backrest cushion with special High Density foam T20-10S. Developed for its use in large backrest cushions. Multi drilled for a natural and soft suspension but with great recovery that maintains the aesthetic form and ergonomics. Al covered by extra soft silicon fiber 400 gr/m2. Anti mite, anti bacteria and anti fungal, facilitating air circulation and reducing humidity. Cushion upholstery fully removable. 4. Leg p-91 beech wood, p-20 and p-30 chromed metal.